Villa Bee Fly IV - Villa sp. 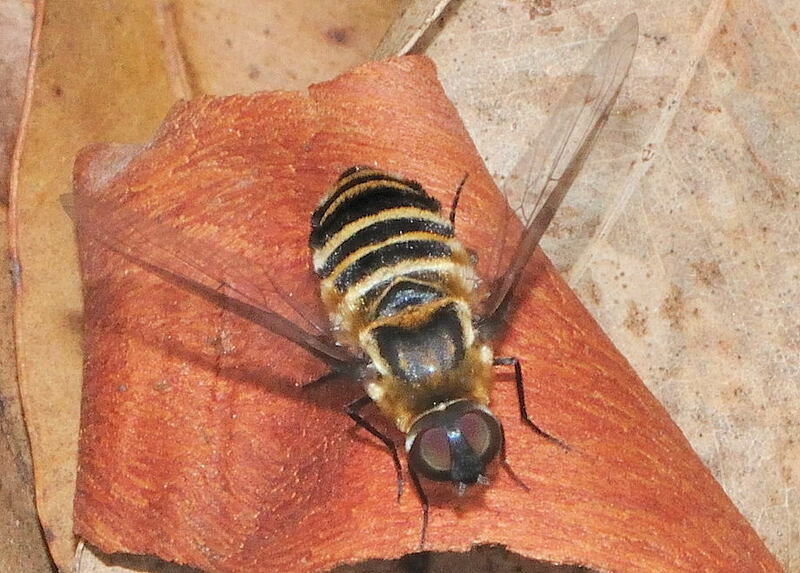 Pictures were taken in Karawatha Forest during early summer. The fly was resting on plant materials on the ground. 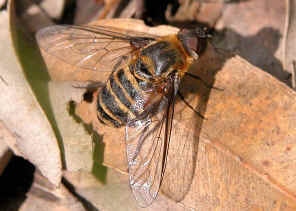 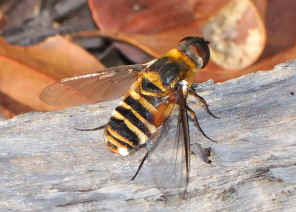 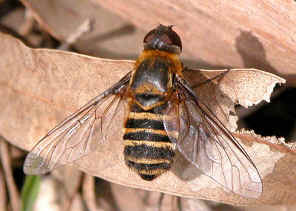 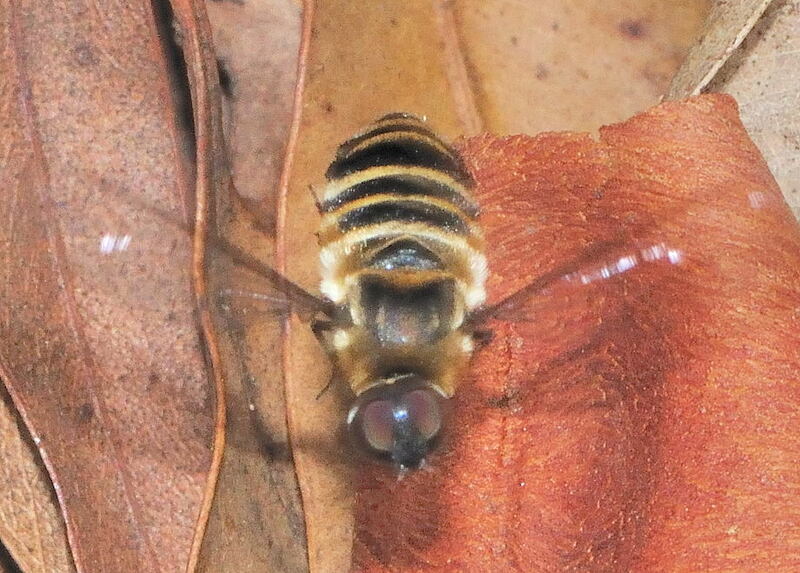 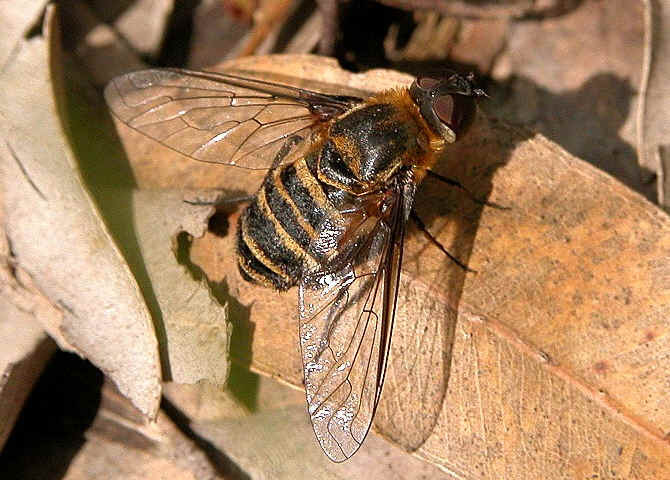 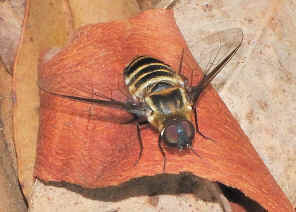 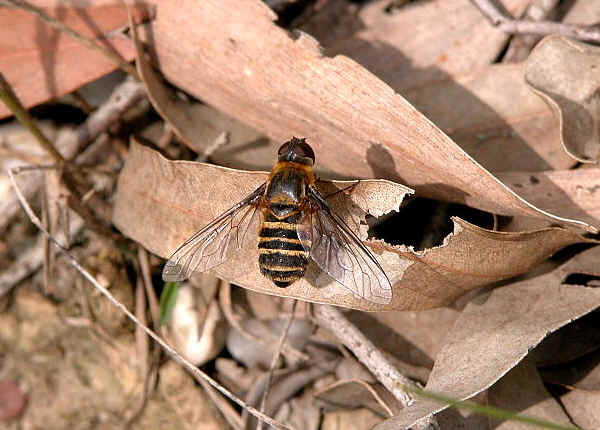 The beefly is yellowish brown in colour with banded abdomen. Those are dark brown bands with yellow narrow bands. Pictures were taken in Karawatha Forest in early summer Nov 2009. 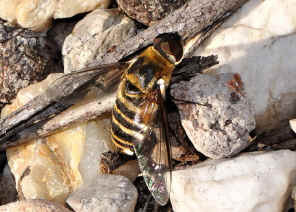 The fly was flying and resting very close to the ground covered with small stones and plant materials. 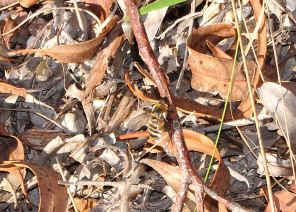 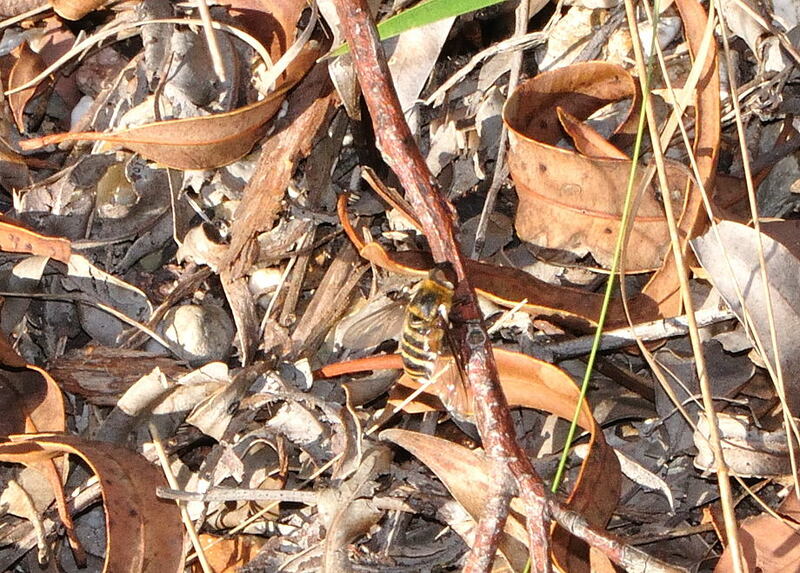 Also saw one in Anstead Forest on Nov 2009. 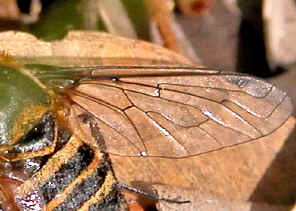 Last updated: December 08, 2012.